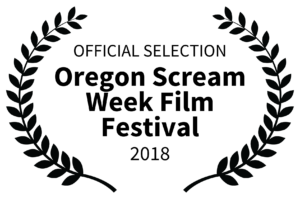 Outside Arcadia was an official selection at the Low to No Film Festival in Las Vegas. The film received multiple nominations for Best Short, Best Director, Best Sound, and Best Cinematography with Best Supporting Actor nominations for Dan Michael, Roman Kyle, and Bart Mallard. Wow! Great work guys! When the smoke cleared, the film was awarded the Adler Award with many congrats going to Bart Mallard who was awarded Best Supporting Actor. Desoto Arts Institute in Click Magazine! 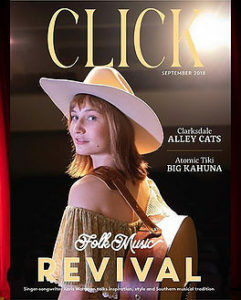 Big thanks to Click Magazine for covering DAI in their September edition. Head over to their website to read the full article. Kill or Be Killed is an Official Selection to the 2018 Oregon Scream Week Festival! Kill Or Be Killed, is an official selection of Oregon Scream Week Fall 2018 and will screen on October 27, 2018. Our Film Club has made a couple of films accidentally, HUSHHH and Kill or Be Killed. We get together for hands-on student training on Saturday mornings to shoot scenes and twice now we have edited those into short films. We just show up, shoot, and craft a story as we go. Read their article about Kill or Be Killed and stay tuned for more updates about Kill or Be Killed and our other projects! Outside Arcadia is a 2018 Memphis Film Prize Top 10 Finalist! DAI’s Outside Arcadia is a well-crafted sci-fi drama about a brother and sister that see an opportunity to right a past wrong. No spoilers. The film was crewed and produced by the students of DAI and directed by our founder, Robb Rokk. Our crew ranged from 13 to 24 years of age. Outside Arcadia was selected as a Top Ten Finalist in the 2018 Memphis Film Prize. 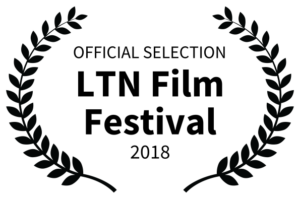 The top ten finalist films are shown on Friday August 3rd and Saturday August 4th. Each ticket holder sees all ten films in a block then is allowed to vote for their favorite three films. Five judges account for 50% of the vote and the audience accounts for the other 50%. So we need everyone to come vote. Stay tuned to hear more about Outside Arcadia, as well as our future projects. 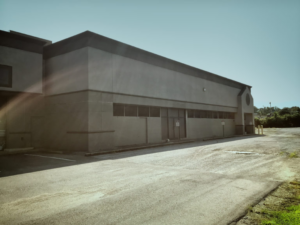 Desoto Arts Institute is moving into a new studio space on the north side of South Point Church in Southaven, MS. The space is part of the old Lollipops Skating Center. At approximately 6200sf, the space will house a film sound stage, audio/music production recording studio, edit bays, dance studio, and STEM workspaces. DAI students and leaders worked in the space on September 23rd to do a thorough cleanup with the help of Life Fellowship. Please join us and be a part of what’s happening in the arts community.